*Supervisor of Elections Mohammed Saneem has revealed that they will stop releasing the results as per the request from the political parties. This will resume once all the political parties have verified and caught up with the protocols of results and the system entry records. 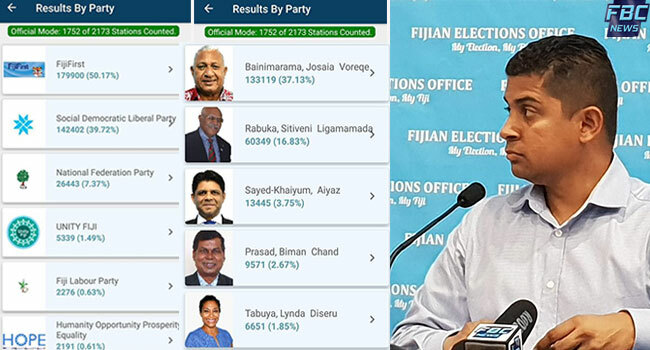 The FEO has entered results from 1752 polling stations into the system so far. Saneem says they are already writing to the political parties to alert them about this exercise so that everybody is on the same page.